The Kershaw Military Boot Knife model 4351 is a 9 inch fixed blade made from 1.4116 German molybdenum-vanadium stainless steel. The blade has been bead blasted to a non-reflective matte gray color, and the handle has been outfitted with rivited POM scales for good grip. 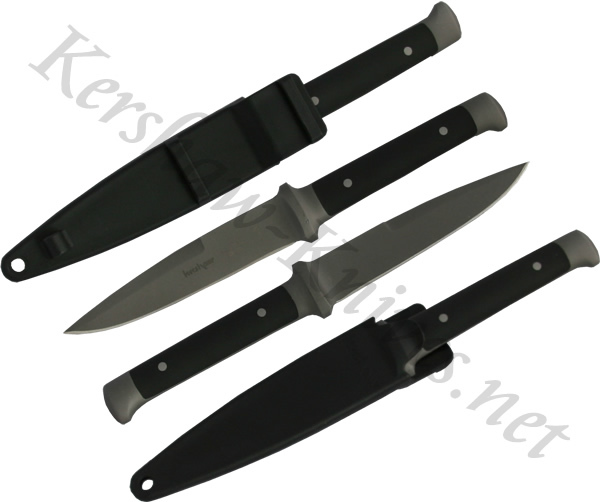 This military knife comes with a hard sheath and a nylon strap for mounting on your flack jacket, leg, or arm.